VMware Horizon Client for iOS makes it easy to work on your VMware Horizon virtual desktop and hosted applications from your iPhone or iPad, giving you on-the-go access from any location. IMPORTANT NOTE: A VMware Horizon virtual desktop or hosted application is required to use the VMware Horizon Client for iOS. Contact your IT department for further assistance. The VMware Blast Extreme protocol used with Horizon 7 is designed and optimized for mobile users. Blast Extreme leverages H.264 hardware decoding to deliver the best remote experience while reducing power consumption. 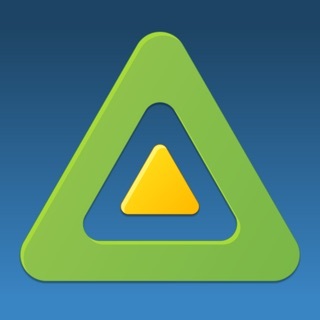 VMware Horizon 6 and later supports hosted applications in addition to virtual desktops. With hosted applications, leave the desktop behind and run applications like local iOS apps. Unity Touch bridges the gap between your touch screen and your Windows applications. With Unity Touch, you can easily browse, search, and open Windows applications & files, choose favorite applications and files, and switch between running applications all without the Start Menu or Task Bar. With an external monitor or AirPlay, your iPhone or iPad display turns into a trackpad / keyboard while the external screen shows your VMware Horizon desktop. The adaptive capabilities of the Blast Extreme and PCoIP display protocol make your virtual desktop fast and responsive regardless of whether you are connecting over your corporate WiFi network or over a cellular connection at a local café. 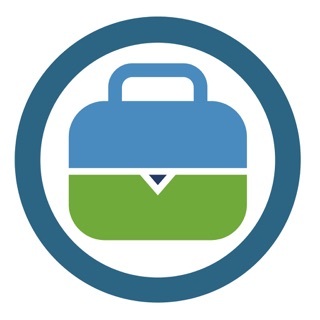 Whether you’re at your desk or away from the office, you’re always secure with VMware Horizon. Leverage smart card authentication with the Biometric Associates baiMobile 301MP smart card reader. Use the integrated RSA soft token for simpler access. Horizon Client for iOS now has a more modern user interface. Users can now use the client device's built-in cameras in a remote desktop or published application. Users can use the new Horizon Client Camera setting to select the video resolution and camera (front or rear) to use. The Horizon Client for iOS Presentation Mode feature now supports screen rotation. It connects very well and has great support for touch. The trackpad feature works great as well as being able to pinch to zoom on my desktop without affecting my work. However (and it’s a big one), the app will not currently recognize an external keyboard’s Delete, Page Up/Down, Alt, Home, Insert, End, NumLock, or ANY of the Function (F1-F12) keys. Also, when attempting to use any key combination that includes the Alt key, it will not recognize the following keystroke as the appears that the Alt keystroke is being repeated instead of held down for a combination. Finally, not all Ctrl combinations work with an external keyboard (such as Ctrl+Enter). The only way to do any of these unsupported functions/key commands is to use the onscreen keyboard which is split between multiple menus and grids my production to a screeching halt. Native support for an external mouse (USB or Bluetooth, only to control the Windows cursor) will need to be implemented as well for this to be a fully functional version of VM Ware. I cannot use this app until it is updated to FULLY support an external keyboard with all of it’s possible commands and functions (the way it works on any other Remote Desktop app). Avoid until updated. I’m really disliking the new version. The two screen widgets (left side bar and movable overlay radial menu) were already annoying in that you couldn’t disable them if you were using a keyboard and Swiftpoint mouse. Now with the new version, they also added in a strip at the bottom for function keys that I can’t disable. Its all fine and well to offer these touch menus for folks that want them, but please give people some kind of option to clear all the garbage off the screen so they can have a clean remote session with all of the available pixels used for the desktop, without navigating around bars and bubbles that chew up real estate and always manage to find their way into an inconvenient location where you are constantly shuffling them around. I’m a government employee and use this app to check things when I’m teleworking. It is serviceable for small things like that, but what really drags down the experience is that if I close the app for 5 minutes, I have to re-enter my password. Needless to say, this leads me to typing my password some 20 times when I’m teleworking. If I leave the app closed too long, more than a half hour, it logs me out completely, so not only do I have to enter my password again, I also have to wait 5 minutes for my virtual desktop to load. Since I’m government, I have very little control over their interaction with Horizon, but this seems to be a problem only with the app. The PC version doesn’t do this, but it is slower. So the problem is likely on Horizon’s end. It’s very irritating.